The exhibition, which has been held since the 24th of April, is named “ARTEDINAMICA – Ferrari & Maserati” and the aim of this exhibition is to reconsider these two attractive Italian carmakers with an artistic point of view. “A car is not art and nothing more than an industrial product that takes people or stuff and runs. 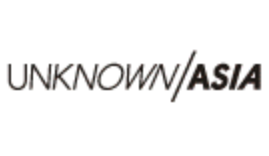 Even so, the interest in gorgeous bodies of Ferrari or Maserati is not far from the one when you face art works”, says Mr Shioda, the chief curator of Museum of Contemporary Art, Tokyo. 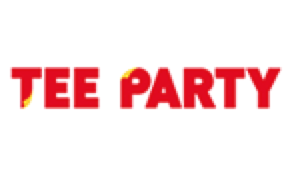 There are a large number of car makers in the world but the makers that created great cars such as Ferrari and Maserati, are special ones not only within Japan but also through the world. Moreover, these cars have got the qualities that can be called art works. 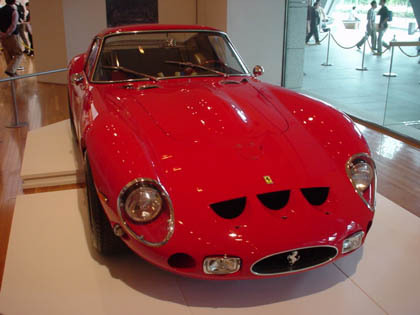 Twenty super cars, mainly from 50s to 60s, are displayed in the art museum in terms of the design view of originality and aesthetic. 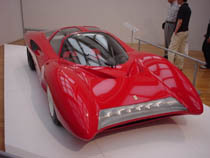 The only one model in the world, such as “Ferrari Mythos” designed by Pininfarina and “Maserati Eldorado” designed by Giugiaro and “Ferrari 250 GTO” that is called the best grand tourism car in auto history can be found there. 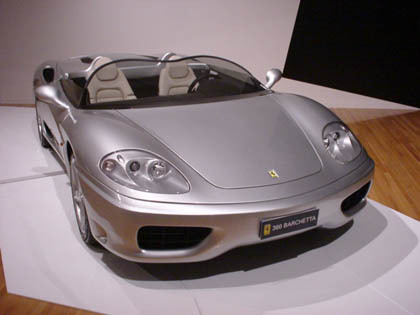 Ferrari 360 Modena Barchetta Montezemolo is a one-off barchetta and belongs to the chairman of Ferrari, Mr Montezemolo. 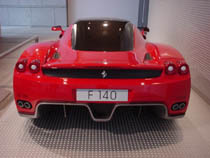 This was a gift from Mr Agnelli, the commander-in-chief of FIAT when Mr Montezemolo got married. This is a custom-made article with low windscreen and gorgeous leathered upholstery. 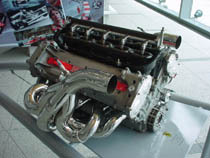 Ferrari F2001 is a F1 machine that Shumacher won with at the Australia GP. 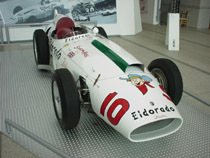 It is displayed as it tells the fever in the circuit. Ferrari Marquette FX is “Ferrari FX” that has taken the tradition of “F40” and “F50” and will officially be introduced at Paris Auto Show in September. 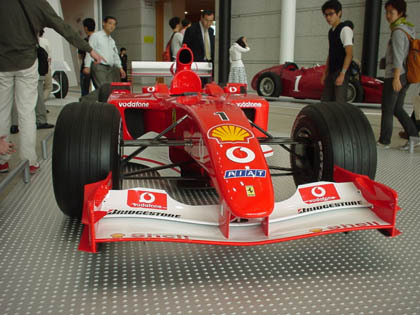 This is a flagship machine that loaded the forefront technology from the experiences in F1 racing even though it is a road model of Ferrari. 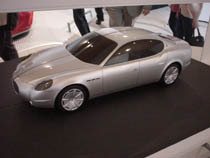 Two the next Quattroporte models designed by Pininfarina are displayed. 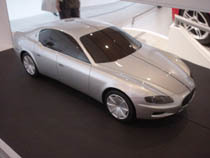 Maserati Quattroporte will debut at a show in Frankfurt 2003 based on one of these designs. 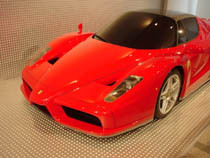 “Ferrari FX”, which will be introduced in September, Paris, can be found in this exhibition and this exhibition is the first opportunity to introduce this model to the world. 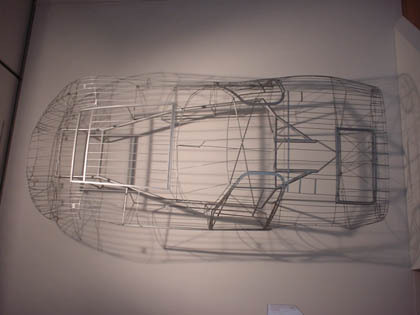 Also, you can have a look at the original design plans, drawings by artists, engines and parts with the sculpture-like beauty that used strictly be prohibited to show the public before. 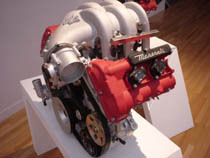 Ferrari has been feature as art works at The Museum of Modern Art, New York before. Thus you can enjoy these cars with the taste, which you are able to feel at an art museum only, and that is different from a motor show’s or a museum’s. 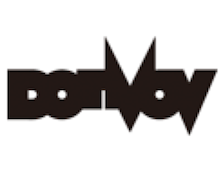 Admission fee: Adult: 1,300 yen, Student: 1,000 yen, Elementary/junior high school student: 650 yen, children under the age 7 and seniors above the age 65: free.